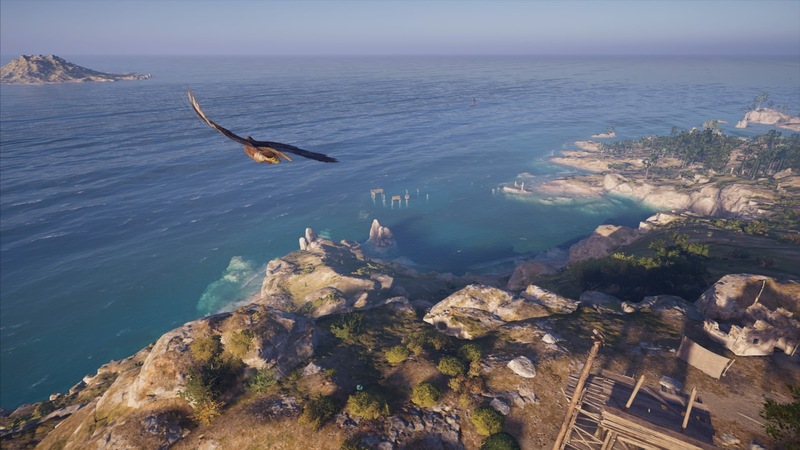 Beginning on October 16, 2018, Ubisoft will begin their live events that will allow players to face more challenging encounters around ancient Greece to earn Epic and Legendary rewards for their characters in Assassin’s Creed: Odyssey. The events will rotate weekly, and are for players that have progressed to level 30 or above. The events can be activated through contracts at any quest board in the game, including the one on your ship, identified by the blue Orichalcum symbol beside the quest name. Epic Ships will task you with a powerful ship that you must hunt down and destroy within the weekly time limits. They won’t be traveling alone; all Epic Ships will also be accompanied by several smaller ships defending them. Bringing an Epic Ship to the bottom of the sea will reward you with XP, Drachmae, Orichalcum, and a new ship design you can use to dress your own. Mercenaries are ruthless and tough opponents. Participating in one of these Epic Mercenary contracts will task you with hunting down and killing (or recruiting) a mercenary within the weekly timed limits. Defeating them will reward you with XP, Drachmae, Orichalcum, and an Epic item, either weapon or gear. Have any of you finished exploring the insanely huge map, yet? Let us know in the comments.